Barber, Benjamin. Consumed. Norton. 2007. A jeremiad against the culture of consumption which, it is argued, infantilizes adults and corrupts children. Best, Amy. Fast Cars, Cool Rides: The Accelerating World of Youth and Their Cars. New York University Press, 2006. An ethnographic excision into the world of cars, identity and status in San Jose, California. Best, Joel, Flavor of the Month: Why Smart People Fall for Fads. University of California Press, 2006. The power of fads are shown to be tied to eager Americans who value of improvement and progress and who are quick to find solutions to pressing problems. Binkley, Sam. 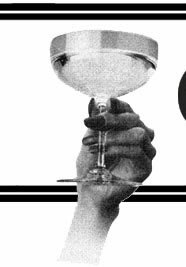 Getting Loose: Lifestyle Consumption in the 1970s. Through a sociological analysis of the countercultural print culture of the 1970s, Getting Loose investigates the dissemination of self-loosening narratives and their widespread appeal to America’s middle class — a process which originated as an emancipatory call to loosen up, but soon evolved into a culture of highly commercialized consumption and lifestyle branding. Blank, Grant. Critics, Ratings, and Society: The Sociology of Reviews. This book investigates reviews as a form of cultural evaluations: institutions that influence success and failure, make or break reputations and careers, and often play a critical role in stratification, power, and status. Wantage: Sean Kingston Publishing. 2007. As goods are intertwined with e patterns and relationships of everyday life, we must attend to and acknowledge that disposing of them is as every a social process as acquiring them. Illouz, Eva. Cold Intimacies: The Making of Emotional Capitalism. Polity Press, 2007. Outlines a dual process whereby the culture of capitalism has fostered a deeply emotional culture while close, intimate relationships increasingly have become figured in terms of models of bargaining, exchange and equity. Manlow, Veronica. Designing Clothes: Culture and Organization of the Fashion Industry. Transaction, 2007. This book considers the importance of fashion in society, traces the evolution of the industry and the emergence of the fashion designer and looks at issues of importance within fashion firms: the creative process, organizational culture, leadership and building and marketing the identity of the brand. Maguire, Jennifer Smith. Fit for Consumption: Sociology and the Business of Fitness. This book guides the reader on a comprehensive journey through the history of how we have come to understand ourselves as consumers in a consumer society and reveals the profound ambiguities and ambivalences inherent within. Spierings, Bas. Cities, Consumption and Competition: The Image of Consumerism and the Making of City Centres. Radboud University Nijmegen. 2006. This publication examines the influence of 'shopping flânerie' as image of contemporary consumerism on city centre governance in the Netherlands, showing how large-scale redevelopment projects are designed to make city centres dissimilar to surrounding shopping centres at urban and regional levels, in an attempt to compete for mobile and fun-seeking shoppers.